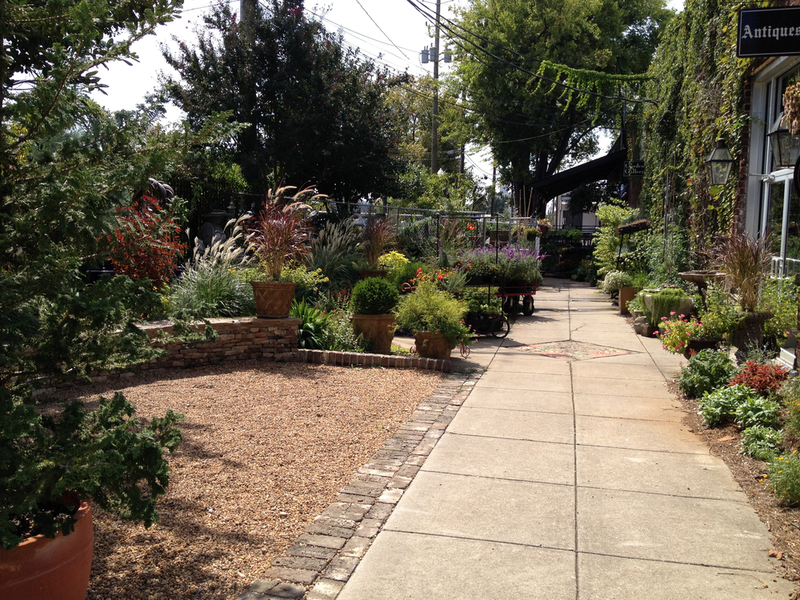 Pepper Place is an thriving mixed use district and home of the Pepper Place Farmers Market, which has become a catalyst for farmer’s markets around the south promoting locally grown food. The aging infrastructure was in need of an update, as well as the needs to create better pedestrian circulation, create seating venues, and solve some issues with storm water management. Flooding was a problem along 2nd avenue and in the parking area. The improvements included providing storm water infrastructure with pipes and inlets, providing pervious paving for infiltration, and use of structural soil to promote root growth with the shade trees. The alley running east west is the primary pedestrian axis for the entire area. 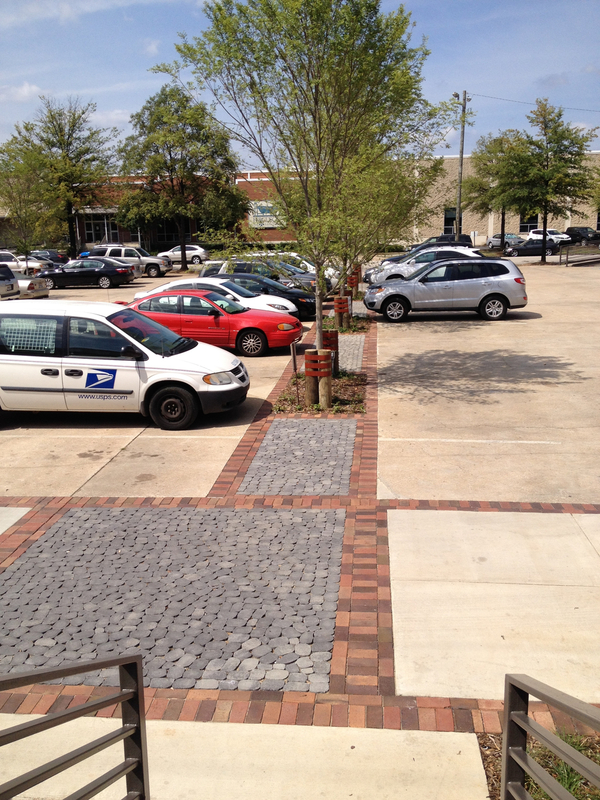 Paving was replaced in the axis with pervious concrete pavers and brick accents. 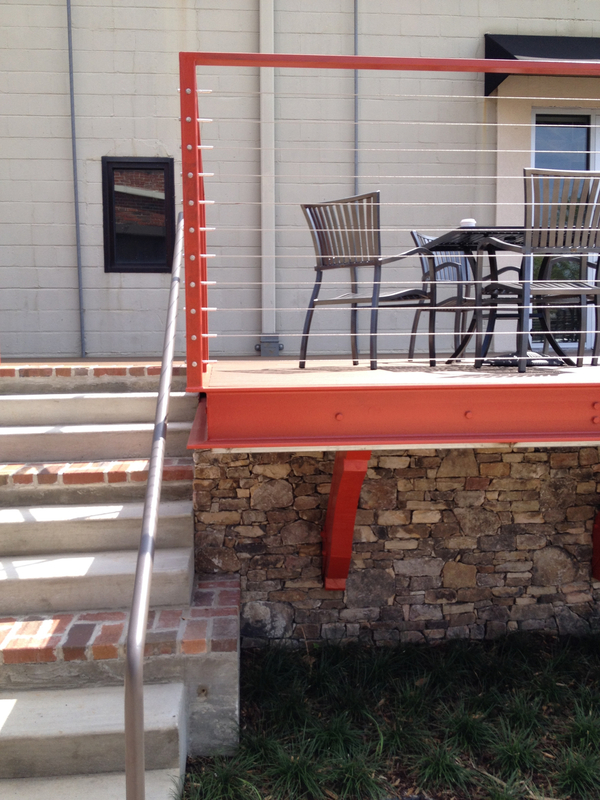 Decks were created for seating areas overlooking the farmers market. A grade transition was made with a mini amphitheater formation with grass steps providing another seating venue. Access was provided with a new ramp with red rails and bollards placed to protect the trees with accent lighting. 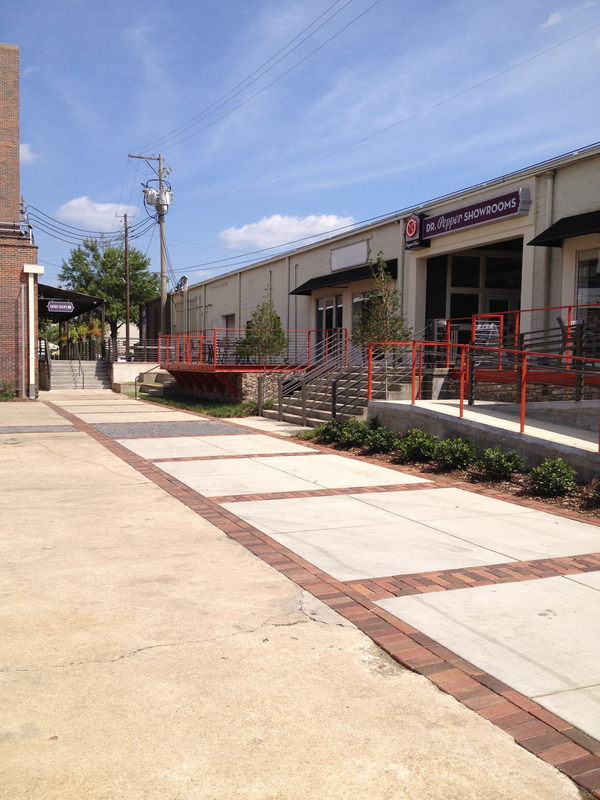 Funding has been applied for developing the streetscape into a more pedestrian environment.